The Supreme Court issued notice to government and all states on a PIL seeking a ban on sale of cigarettes, bidis and cigars claiming that every year, India spent more on treating cancer caused by tobacco products than the revenue it earned from their sale. A bench of Chief Justice R M Lodha and Justices Kurian Joseph and R F Nariman sought responses from the governments after the principle adopted by the Apex Court in its 1988 judgment to close down tanneries for discharging untreated effluent into the Ganga was cited. The petitioner asserted that the rules and regulations put in place to prohibit sale of tobacco products to minors by banning shops around educational institutions had hardly stopped minors from accessing cigarettes, who were not aware that smoking meant inhaling nicotine, tar, potential carcinogens, carbon monoxide irritants and asphyxiates which could cause serious diseases including cancer and cardiovascular ailments. It also said that permitting smoking infringed non-smokers’ right to clean air, who were exposed to the harmful effects of passive smoking. The petitioner submitted that the mere mechanical display of a statutory warning for 20 seconds before a scene in a movie where the actor smokes hardly had any dissuading value for the youth, who got swayed by the actor holding a cigarette in his hand rather than get convinced by the harmful effect of smoking. It said the law prohibited sponsorship of sporting and cultural events by tobacco manufacturers. “Still, sponsorship of sports, musical events, award functions, fashion shows, festivals are routinely done by tobacco manufacturers,” the petitioner alleged. 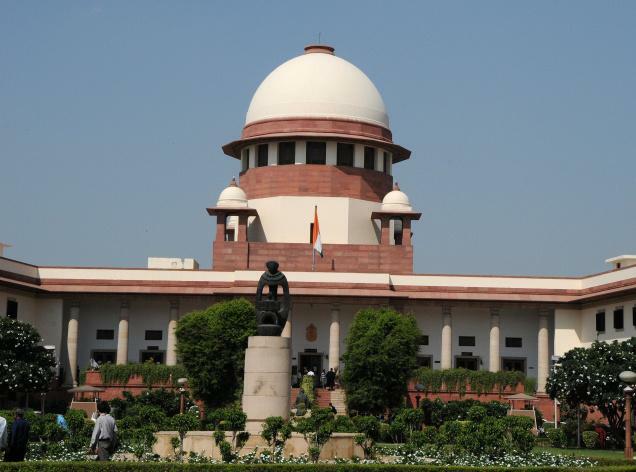 The Supreme Court on Thursday issued notice to the government and all the States on a public interest litigation (PIL) for a complete ban on cigarettes and beedis and stringent punishment for smokers. A Bench of Chief Justice of India R.M. Lodha, Justices Kurian Joseph and Rohinton Nariman directed the government to respond on the petition showing that the country is spending approximately Rs. 30,000 crore annually in both public and private health sectors to treat tobacco-related illness. This expenditure, the PIL said, accounts for roughly 25 per cent of public spending on health. “And the death toll is rising as per survey various survey published by GATS, WHO and Ministry of Health,” Aditya Agarwal and Parul Singh, counsel for the petitioner Sunil Rajpal, told the bench. When the Chief Justice initially countered that it is the legislature’s responsibility to make laws against tobacco use, Mr. Agarwal submitted that following a Supreme Court order in 2001, the lawmakers had passed the Cigarettes and Other Tobacco Products Act (COTPA) in 2003. “But poor implementation of its provisions has led to more and more deaths every year,” Mr. Agarwal said. The petition seeks amendments in the COTPA to introduce stringent punishment to smokers. The division bench, comprising Justice S. Rajeswaran and Justice P. N. Prakash, disposed of the petition after the counsel for petitioner, S. Karthik submitted a copy of the Tamil Nadu Entry into Public Places (Removal of Restriction on Dress) Act 2014, passed by the Assembly. “Taking note of the fact that a Bill has been passed by the Assembly, nothing much remains to be considered in the matter,” it ruled. The Tamil Nadu Assembly on Tuesday unanimously passed a Bill enforcing dress codes and banning entry of people wearing dhotis in public places a cognisable offence punishable with a jail term. The House adopted the Tamil Nadu Entry into Public Places (Removal of Restriction on Dress) Act, 2014 after Chief Minister J. Jayalalithaa moved it for consideration and passing. It empowers the state to cancel the licences of such clubs, recreation associations, trusts and companies or societies denying entry to any person wearing a vesthi (dhoti) or traditional attire of men in the state. The legislation, enacted against the backdrop of the denial of entry to a Madras High Court judge and two advocates recently by a prominent Cricket Club in Chennai, also seeks to declare any regulation or by-law made by any organization imposing a dress code as “null and void”. The violators of the Act will attract penal action, including cancellation of licence after notice, besides punishment with imprisonment for a term which may extend to one year and with a fine of up to Rs.25,000. No dress code restrictions can be imposed for entry into public places—recreation clubs, hotels, theatres, malls, halls, auditoriums, stadiums and such other places as may be notified by the government, where people including members congregate in connection with any function, event, entertainment, sports or other activity. The imposition of restriction on people for entry into public places on the ground that their dress does not conform to Western culture would amount to continuation of the colonial imperialistic attitude, one of the provisions of the Bill stated. At the height of the controversy over the denial of entry to the judge last month, Jayalalithaa had asserted that a Bill banning such dress codes would be introduced and passed in the current budget session of the assembly itself.